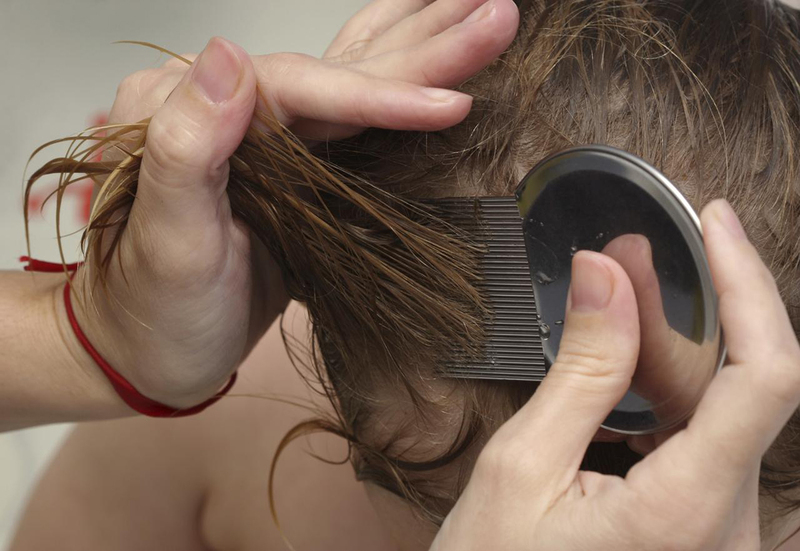 The dreaded phone call, your child has head lice! Most parents with children in school or daycare have been here or will be here. It is almost inevitable, but catching these pesky critters early, proper treatment, and preventative measures can help you be prepared to get rid of them before they take over your home and become an infestation. I’m a mother of three girls, and girls are more likely to catch lice than boys. Don’t let that tarnish your thoughts, boys can get lice too! Girls have a better home, if we must call it that, for the lice to live and thrive in. Boys generally have shorter hair, and are less likely to be a suitable home for lice. I worked at a private daycare where I was dubbed the Lice Lady. 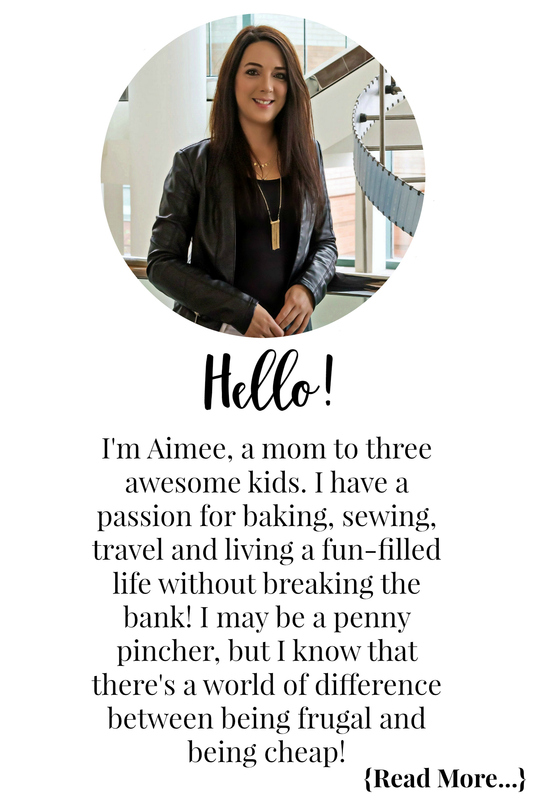 I had two children, dealt with lice before, and many of the other teachers were young women with no real experience in spotting lice. As much as I cringe and scratch as I write this, I would much rather help others be aware and give them tips to deal with it properly, so itch away I will. Now I was not always the Lice Lady, or experienced in the least when it came to lice. It was not until my oldest daughter got lice for the first time, let me tell you I had ZERO idea what I was doing or how to deal with it. I cried for a bit, mainly out of frustration, and then picked up the phone to call my mother. She tried her best, but with her vision getting worse with age, she was no longer the Lice Lady. I was left feeling helpless as the traditional shampoo method was not working. This was when I went online, thank god for the internet. I typed LICE in google and hit search. I was so happy to have found a search result for a business called The Lice Squad. Totally at my wit’s end on how to deal with the issue I decided to call. A very nice woman serviced my area and came to my home. She checked all of us because I was so worried I had it, but only Abby had the pesky bugs. Once Hailee and I were given the all clear she turned her attention to Abby. During the process she taught me how to spot the bugs and the eggs. She also showed me the difference between an egg, hair product residue, and dandruff. I learned how to remove them without the use of harsh shampoos containing chemicals, and she gave me the all mighty Louse Trap Comb. Of course I had to pay for this service, but as a first timer on dealing with lice it was well worth the price. I learned so much from the experience and lessons she gave me while she was at my home. Since I’m somewhat of an expert, I’ll give you the 101 on how to remove lice should your child get it. I will also share tips on preventing lice from making an appearance on your child’s head. I highly suggest you invest in a good Louse Comb. 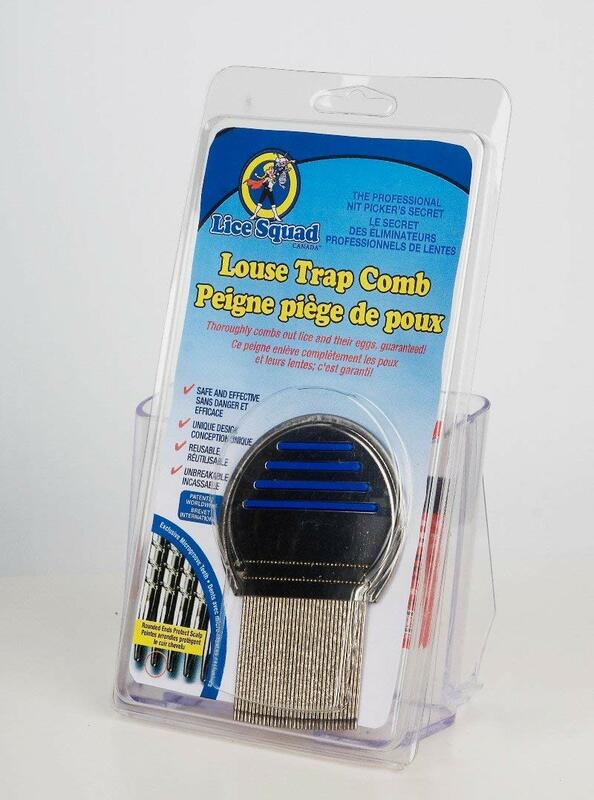 At $24.99 the Lice Squads Louse Trap Comb is a life saver. The way it is designed is key and is what sets it apart from others that I experienced as a child. Lice combs that come in the shampoo boxes are just as horrible as the shampoo are. The most effective lice egg removal tool on the market today. Used by Lice Squad’s professional Nit Pickers. Provides safe, easy and effective head lice removal. Won’t tear or break the hair and can be sanitized for multiple uses. This unbreakable tool is guaranteed to work for you or your money refunded. You can also buy the Fairy Tales Terminator Lice and Nit Comb or LiceMeister Comb. They are pretty much identical and work just the same. Head lice are small grey or reddish-brown bugs 1mm – 4mm in length depending on their age. Lice live on the human head. They do not live on pets or on other parts of the body. Lice feed on blood and cannot survive off the head for more than 24 to 48 hours without feeding. They also do not hop, jump or fly. Lice lay eggs, these are tear-drop shaped, and are glued to the hair shaft on an angle. They are also only glued to one side of the hair shaft. Viable eggs are typically brownish/yellow to caramel in color. Empty egg cases or dead eggs are called nits. These are clear, opaque, and almost see through. Don’t rely on a product that claims to kill lice and their nits. It is the eggs that need to be killed or removed. Viable lice eggs are never white in colour. Female lice lay 3 to 5 eggs per day and live for 30 days. Lice eggs take 7-10 days to hatch and another 7-10 days to be mature enough to mate. Look for lice and their eggs in the common spots they hide. Around the ears, at the crown of the head, and at the nape of the neck are the most common. It is best to do this in an area with bright lights. Lice lay their eggs close to the scalp, but also look along the whole hair shaft as this is not always the case. Do not confuse DEC plugs, hair casts, or other hair debris with lice eggs. Remember if it is white like paper or snow, or moves easily, it is not a lice egg. 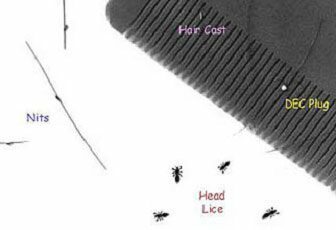 To succeed at eliminating a head lice infestation, one must remove all lice eggs and lice from the hair. The lice eggs are tear-shaped, usually brown in colour, and are attached to one side of the hair shaft. Lice egg look-alikes are white and they surround the hair shaft. They are often misdiagnosed as lice eggs. Nits are empty or dead lice eggs. They are see-through and will stick to the hair shaft on one side. Most mothers waste both time and energy doing countless washing of bed sheets and clothes. Lice are not living in your environment, they are living on your head. See 4 easy steps to cleaning your home below. Pesticide sprays and treatments should be used with caution, or in my opinion not at all. Don’t rely on products that claim to kill nits. Lice eggs must be removed by hand. Head lice are not living in your home, on your furniture, or in your bedding. They prefer to be on your head. The good news, a louse will die within 24-48 hours without a blood meal from you. Sit your child in a chair in a well-lit area. Use a hair clip to section off the hair you are not working on. Place conditioner and a small amount of water to thin it out, into a spray bottle. Start with a small section at the nape of the neck, spray the conditioner to soak the hair. Using the lice comb, start at the left and work your way right. After each comb through wipe the comb off on a paper towel. You will see any lice or eggs come off onto the paper towel. Remember to not only comb downward, but also sideways, and upwards to ensure a good comb in each section. Continue repeating this for each new section. Take down a small amount of hair at a time to ensure maximum removal. Once done, rinse their hair out, blow dry, and re-check. If you still see eggs or lice, repeat until no more are found. For the next 7-10 days check their hair twice a day to ensure you have got them all. Once your child is lice and egg free for 24-48 hours they can return to school. Place all items that can safely be dried on high heat in a dryer for 20-30 minutes. Vacuum items that cannot be dried. If an item can not be dried or vacuumed, set it aside for 24-48 hours. Remember, the focus of lice elimination should be on the manual removal of all eggs and nits from the head. 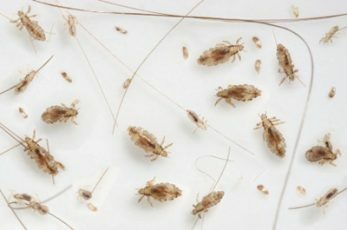 Lice are not living in the environment, they are living on you. Cleaning should be done initially after your first big nitpick. It can be repeated every 4th to 5th day after follow-up treatments. Doing your best to prevent head lice really helps your whole community. If everyone took the little time to follow some easy prevention tips I think we would see the cases of lice drop drastically. Have a talk about head lice with your children. Let them know the things that they can do to avoid getting head lice. 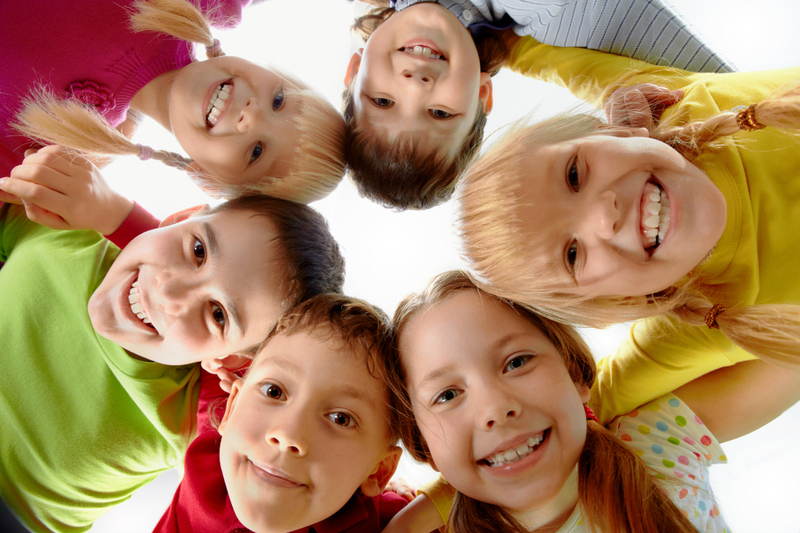 Children are most susceptible to getting lice and usually bring them home from school or day care. Keeping their hair up and away from other people’s heads is a good way to avoid getting lice. Sharing hats, combs, towels, and other hair items is not advised. Keep in mind that you may also get head lice from car seats, bus, plane, and train head rest. Also avoid trying on hats at a department store. 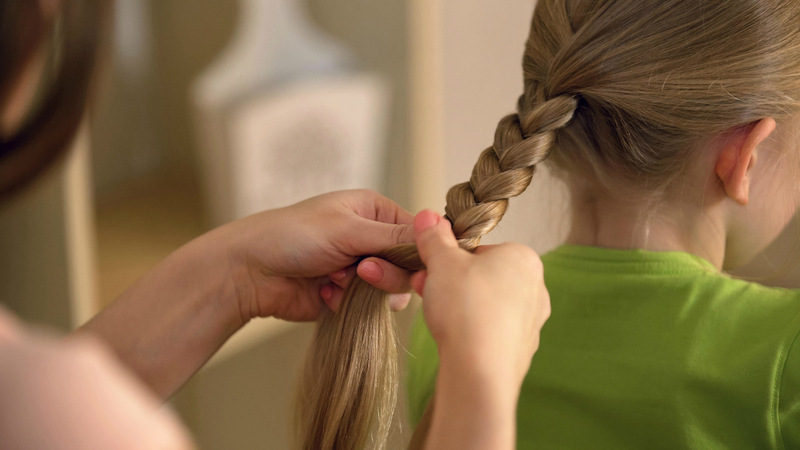 Placing their hair in a pony tail, as well as giving it a light spray with hair spray, can also prevent getting lice. Daily lice checks in homes with children is key to prevention. Check your child’s hair both before and after school. Catching a head lice infestation early is important. It helps to avoid a severe infestation, the spread to others, and makes getting rid of lice so much easier. Tell your school, day care, and other families that you have been in contact with. Informing others so they can check and treat if necessary is important to breaking the cycle. If you don’t lice will spread and continue to go around, eventually making its way back to your home. Visit the Parenting section on the blog for more great tips, advice, and articles! Have any tips you would like to share? Let us know in the comment section below. My oldest daughter’s class had a real problem with lice over half the class had it and after actually going in the class and chatting with her teacher I noticed that the kids all hung up their jackets side by side. They had no individual cubby or locker. All their winter hats and mittens placed over top of the jackets on a shelf all together. Needless to say by springtime they actually invested in proper lockers for the 5th graders. Tea tree oil actually doesn’t prevent them at all. We had one mom who believed this (was told by someone to use it) and her daughter got infested because she thought she was protected. While they “may”, and I use that word lightly, deter them, using hairspray, mousse, tea tree oil, etc will not keep them away. Daily checks, hair up, and a good lice comb are key. I used a product (natural oil) called NYDA on my daughters hair. (It was recommend to us when I called in the Lice Lady). Kills the eggs (nits) and the lice and is amazing. Still lots of combing involved. Also might be a good reminder that people should vacuum their cars/car seats to make sure it’s all gone.